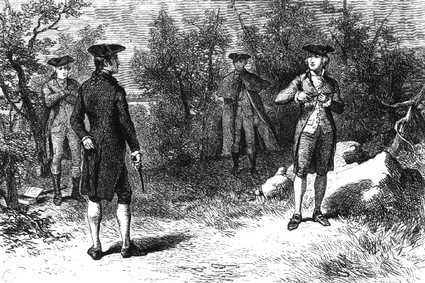 For most younger folks today the Alexander Hamilton-Aaron Burr duel is probably best, and perhaps only, known from a popular television commercial. When first viewing that commercial myself, as a young high school student, I remember having only a vague idea of who Alexander Hamilton and Aaron Burr were; that vague idea coming from having read Edward Everett Hale’s The Man Without A Country in English class a year or two before. So I knew there had been some kind of duel that involved the two men, though I had no idea of their significance to American history or why they felt the need to shoot at each other from ten paces. Burr and Hamilton had both served in the Revolutionary War and had achieved high ranks; Burr a colonel and Hamilton a general, though the generals commission was granted long after the Revolution during what is known as the Quasi-War with France. Both were integral in the early Republic holding important offices at various times, and mostly friendly at the start. But the seeds of rivalry were planted in 1791 when Burr beat Hamilton’s father-in-law, Philip Schuyler, in the race for the Senate seat from New York. From there the animosity festered. Hamilton saw Burr as a political opportunist and a bit of a flip-flopper, to use today’s language, and was often very critical of him in public. Burr was in fact a bit of a schemer, or as some might see it, politically shrewd. Either way, he didn’t much care for Hamilton’s opinion of him and they were constantly at odds. So much so that when the Presidential election of 1800 ended in a tie between Thomas Jefferson and Burr, Hamilton used as much of his influence as he could among more moderate Federalists–who would have preferred Burr to Jefferson as President, though they were both Republicans–in the House of Representatives–which was responsible for breaking the tie–to see that Burr lost. This might not seem like that big of a deal except for the fact that it was well known that Jefferson and Hamilton were bitter political enemies. So strong had the feud between Hamilton and Burr become that Hamilton would prefer to see his greatest political opponent reach the presidency, than the more moderate Burr. Burr did serve as Vice President under Jefferson, as the runner-up did at the time, but it was rumored that Jefferson would attempt to replace him in the next election in 1804. Burr decided to run for governor of New York, but was again thwarted, again largely due to Hamilton and his allies. During the course of the campaign a letter surfaced that had been written to Philip Schuyler, Hamilton’s father-in-law, by a Dr. Charles D. Cooper which described “a still more despicable opinion which General Hamilton has expressed of Mr. Burr” at a dinner. According to the code of honor of the day, attacks on someone political views, even very harsh ones, were fair game, but to impugn on a man’s personal character was viewed as out of line. Burr demanded an apology from Hamilton, or at the very least, an explanation. Hamilton refused, claiming not to know specifically what Dr. Cooper was referring to and therefore could not offer an explanation or an apology. Through a series of letters delivered through proxies, Hamilton and Burr continued to spar over the issue, eventually to the point where Burr demanded an apology for every negative thing Hamilton had ever said about him and Hamilton refusing because it was, basically, all true. Finally, in an effort to regain his honor, Burr challenged Hamilton to a duel. Hamilton, feeling his own honor was at stake, accepted. Both men had fallen on hard times politically in recent years; Burr’s virtual dismissal as Vice President (though he was still the current VP in 1804) and loss in the New York gubernatorial election had damaged his reputation and ego and Hamilton had not served in public life in any real capacity for at least four years and his Federalist party was diminishing in influence. Perhaps they both saw in the duel a chance, not only to settle old scores, but to reclaim former prestige, if not politically, then at least personally. They agreed to meet at Heights of Weehawken, New Jersey on July 11th, 1804 to settle things once and for all. What Is the History of Labor Day? The Labor Day holiday in the United States dates back to the late nineteenth century. This era in American history saw a lot of tension between working folks and industry. Strikes and walkouts were farily commonplace as workers fought for the establishment of what they deemed to be fair labor laws and practices, whether better wages, a shorter work day, etc. Unfortunately, due to extremism on both sides of the issue, these strikes and demonstrations often led to bloody riots and in some cases even pitched battles. The most famous riot with lasting repercussions was the Haymarket Riot in Chicago in May of 1886. Workers had gone on strike on May 1st to force an eight-hour workday into law and on May 3rd violence erupted when strikers attacked a replacement worker trying to cross the picket line. The police intervened and after the ensuing scrum, four strikers were dead. Anarchist Albert Parsons immediately began spreading the word that the police had been sent to kill the strikers at the behest of the business interests there. The next day a large rally was held at Haymarket Square that began so peacefully that the mayor of Chicago, who had stopped to watch it, decided to walk home early. After a while, the police moved in to disperse the crowd when someone hurled a bomb in their direction. A riot ensued which left seven policemen and at least four workers dead. 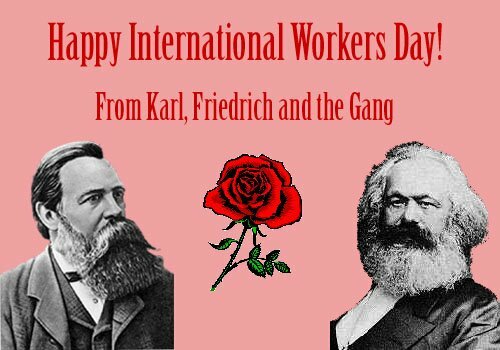 These events are seen as instrumental to the international labor movement and are the inspiration for the May Day workers holidays celebrated around the world. But wait, Labor Day isn’t in May in the United States. No it is not. Here’s why. As early as 1882, the Knights of Labor, a prominent workers organization in the late 1800’s, began holding a parade in New York City to honor the working man, which took place in early September. Also, for some time the Central Labor Union had been pushing Congress to establish a holiday for the worker. Since many of the unions and working orgainizations who would have preferred May 1st for the holiday–as it is internationally–were fraught with anarchists and socialists, President Grover Cleveland stepped in to support the Knights of Labor for their date. In 1894 the first Monday in September was designated Labor Day by the Congress. OK, this answer has been way too long in coming. My utmost apologies. Without further adieu, the third and final part of Josh’s question, originally posed way back it November (yikes!). Ever since George Washington’s Farewell Address, the US had maintained a policy of mostly keeping out of European affairs, so long as they remained in Europe. So, when the Great War broke out in 1914, it wasn’t too surprising that the United States remained on the sidelines. For the most part. Some Americans, feeling the call of duty, joined the Canadian armed forces and in 1916 the French deployed a fighter squadron called the Lafayette Escadrille that was composed of mostly American pilots. But the official position of the American government was one of neutrality. President Woodrow Wilson was an idealistic man and offered to mediate between the two sides, but neither took him up on his offer. They had their heads full of visions of conquest and glory. Looking back to WWI through the lens of 2007, it would appear to us a foregone conclusion that the US would eventually enter the war on the side of the Allies. However, that is not exactly the case. Though the earliest European settlers of America had been British, and many more British emigrated after the Revolution, the country had had a huge influx of German and Irish immigrants in the latter half of the 19th century. The Irish have never been what you would call buddy-buddy with their British cousins, less so in the early 20th century. Americans of German decent at that time were likely not so far removed from the Old World that they wouldn’t still have friends and relatives fighting for the Central Powers. So, early on public opinion was not so solidly pro-British or Allies. However, the Germans made three major mistakes that would change that. The first was unrestricted submarine warfare. 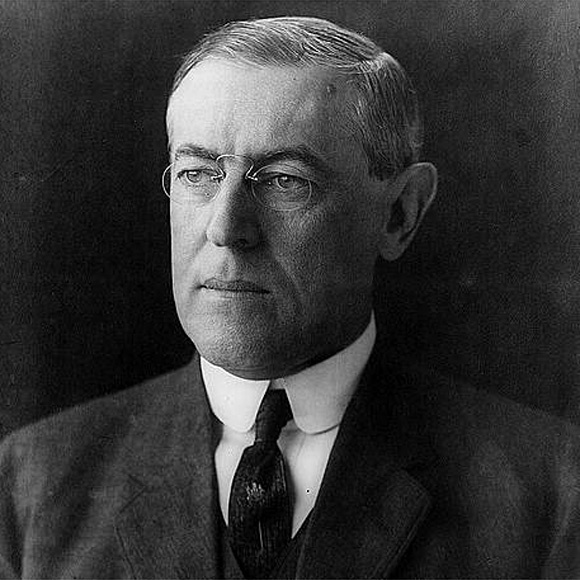 At the outbreak of the war, Wilson was counting on America’s neutrality to guarantee it freedom to trade with all belligerents. The Atlantic would be an open business. However, the British had other plans. With their superior navy they blockaded Germany’s ports to all traffic, neutrals included. This put quite a crimp in the free flow of trade Wilson was hoping for. He protested to London, but there was practically very little he could do short of declaring war, which he absolutely wouldn’t. The British and their allies, never missing a beat, were now in a position to be the near exclusive trading partners with the US. Obviously this stuck in Germany’s craw. They responded with unrestricted submarine attacks on merchant shipping. In the early days of the war, submarine warfare was quite civil. A merchant ship would be stopped, the crew removed, and then the ship sunk. For obvious reasons, this was not having the desired affect on the British, of cutting off their food supply, as it were. Unrestricted submarine warfare can best be described like this: see boat, sink boat, celebrate to the swinging sounds of David Hasselhof (Germans love David Hasselhof). OK, I made that last part up. After a cruise liner, the Lusitania, was sunk by a German torpedo in 1915, killing 128 Americans, the British were sure Wilson would declare war. However, he instead protested vehemently to Germany on the illegality of unrestricted submarine warfare, and the Germans ceased the practice…until 1917. By that time, Germany was in dire straits. With the free flow of munitions from America to Britain the Bosch were in danger of being out gunned. It wasn’t so much that the American munitions peddlers didn’t want to sell their wares to Germany, they simply couldn’t due to the British blockade. With the resumption of their harsh submarine tactics the Germans realized that America would stand idly by for only so long before declaring war, however they grossly miscalculated the time it would take to get enough doughboys across the pond to have an impact on the Western Front. A second mistake Germany made was the use of sabotage. As we’ve noted, Germany was fairly perturbed that though the US was technically neutral and free trade with both sides, most, if not all, of its trade was with the Allies. Another way they attempted to stifle this was through sabotage in the US itself. Probably the largest act was on a munitions dump in New Jersey known as Black Tom. There were about 200 incidents of German sabotage in the US during the war and the real-life spectre of German agents running around in picklehaubs along the Eastern seaboard blowing things up was enough to start to sway public opinion. The third mistake the Germans made occurred south of the the border, our border. British intelligence had intercepted a communique from the German Foreign Secretary Artur Zimmerman to his ambassador to Mexico in Mexico City. Known as the Zimmerman Telegram, the note instructed the ambassador to approach the Mexican government on the possibility of a Mexican-German military alliance should the US declare war on Germany. Germany would assist Mexico with arms and funds if they would stage an invasion of the American southwest. Germany would also assist Mexico in reclaiming the land lost in the Mexican-American war. Small places like Texas and California. Tensions between Mexico and the US were already high. The neighbor to the South was already in the midst of revolution and political instability and General John “Black Jack” Pershing had been chasing Poncho Villa back and forth across the border for months. Despite the tension, the plan was infeasible and quixotic. Mexico was in no position, as per the aforementioned revolutionary activity, to make war on the US and Germany could promise all the guns and money it wanted, but how were they going to get them to Mexico? The British blockades weren’t letting anything in, and they certainly weren’t going to let anything out. The Huns were most definitely desperately grasping at straws. The Zimmerman Note was the last straw. The British turned it over to the US in February of 1917 and by April Wilson had asked Congress for a declaration of war against Germany to make “the world safe for democracy.” War could no longer be avoided. Also playing a part in Wilson’s decision was the fact that Imperial Russia was now out of the Allied camp, and indeed no longer existed. The Bolsheviks had taken over and made peace with Germany. Even if the Tsar still had been in power, its unlikely this would have been a sticking point for Wilson as public opinion would likely have forced him to the same conclusion. By June of 1917 there were 14,000 US troops in Europe under the command of Pershing. In eleven months there would be over a million. Six months after that, on November 11th, 1918, the War to End All Wars, that began with the assassination of an Austrian nobleman (who was commissioning a symphony in C) that claimed more than 9,000,000 lives, that redrew the maps of Europe and the Middle East, that would send echos nearly 100 years into the future was over. The document that was supposed to mark a new era for mankind, the Treaty of Versailles, would leave a devastating legacy that would lead, a mere 21 years hence, to an even greater conflict. But that is a post for another day. No, not these guys. 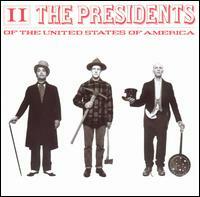 The real Presidents of the United States of America. The Constitution established the office of the President, and detailed some specifics on what the requirements of the office were–must be a citizen, at least 35 years old, resident in the US for the last 14 years, commander-in-chief, enforce the laws passed by Congress, etc.–but how the President would fulfill these duties was unclear. George Washington did much to define the office and set precedents for those that would follow him. As examples, Washington created a cabinet, which the Constitution makes no mention of, and he served only two terms when, at that time, there was no limit. Every President until FDR would follow Washington’s precedent and serve only two terms. FDR was elected to four terms, and in 1951 the Twenty-second Amendment was ratified limiting the number to two. The President was unlike any political office. It raised all sorts of important questions, like how do we address this guy? Some suggestions: His Elective Majesty, His Mightiness, His Highness the President of the United States and Protector of the Rights of the Same. It was finally decided that simply Mr. President would suffice. Probably the best move. For this assignment for my History class we had to choose a crisis the country faced sometime before 1877. I chose the Nullification Crisis, something probably not very well known, but crucial in the years leading to the Civil War. The reading I’ve doing in this class lately has been a lot about the Compormise of 18xx, or the Such-and-Such Act, or the John Doe vs. a state decicsion. It may sound boring but it’s actually pretty interesting. How is a tariff act passed 150 years ago interesting? These types of decisions and the ensuing showdown’s between the federal government and the states set the precidents and definitions for the democracy we know today. It’s important to understand that the way democracy works today didn’t just get that way after the last shots of the Revolution were fired. It had to develope and mature. It’s also important to understand how “sectional” the nation was in the antebellum (pre-Civil War) years. If you lived in Virgina, Virgina was your home first, not the United States of America. This attitude was especially prevelent in the South. Prior to the Civil War, no crisis reflected this more than the Nullification Crisis. 1) What was the controversy? The controversy was nullification. Nullification is an act by which a state will nullify or invalidate a federal law within its borders that it deems unconstitutional. Nullification was controversial because it asserted the states’ power over the federal government. Thomas Jefferson and James Madison had first conceived of the idea of nullification in their Kentucky and Virgina Resolutions, written secretly in 1798. The resolutions were written in response to the passage of the Alien and Sedition Acts of that same year. In essence, the resolutions stated that the federal government was a compact among the states, thus the states had the final say on what laws were unconstitutional and could then nullify them. This however was not the major controversy of nullification. That would come in the late 1820’s and early 1830’s when South Carolina would attempt to nullify the Tariff of 1828. Planters in the south, especially South Carolina, were enraged over the Tariff of 1828, which they called the Tariff of Abomination, as they saw it as protecting the manufacturers of the Northern states at the expense of the South. They feared retaliatory tariffs in foreign markets that were primary importers of Southern foodstuffs as well as raised prices on imported manufactured goods from Europe. 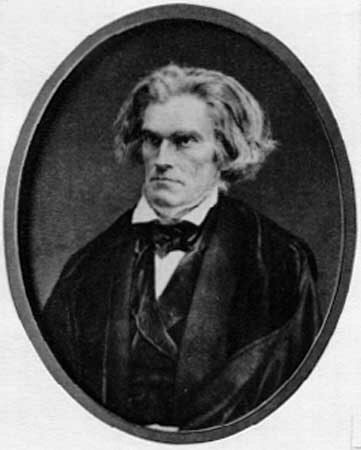 The new, less protectionist Tariff of 1832, signed into law by President Andrew Jackson, did little to assuage the anger of South Carolina and John Calhoun, Jackson’s vice president and a South Caronlinan, urged nullification of the tariff…annonymously. 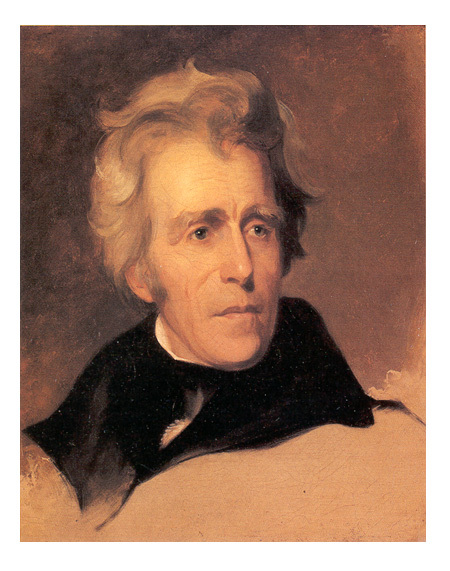 Jackson, though not a die-hard tariff-ist, refused to allow South Carolina to flout the federal government and declared that South Carolina “stood on the brink of insurrection and treason.” He sent a small fleet of ships off the coast of Charelston and threatened to collect the tariff duties by force if necessary. In early 1833 Congress passed the Force Bill authorizing the President to do just that. The crisis was finally cooled when Henry Clay drew up a compromise tariff that both sides could agree to. It is often called, aptly, the Compromise Tariff. 4) What do you think? While the Tariff of 1828 may well have been protectionist and more favorable to the North, nullification set a dangerous precedent. It was a key element of the states rights/federal government debate and layed the ground work for secession and the Civil War. It should have come as no surprise that South Carolina was the first state to secede. 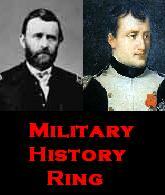 1) How did the political philosophies of these men differ? Most clear thinking Americans could probably tell you at least the rudimentary facts of who Thomas Jefferson was. Far fewer would likely have a definite idea of who Alexander Hamilton was and what his contributions as a Founding Father were. Yet his conception of an American government was just as important as that of Jefferson. Both founders foresaw the new nation as a great future power, and both had very different maps of how to get it there. Hamilton favored a strong central authority. He believed a strong government was necessary to provide order so that business and industry could grow. He envisioned America becoming an industrial power. To this end he sought to establish a national bank and fund the national debt in order to establish firm base for national credit. Hamilton believed that the government should be run by those who were educated and wealthy rather than by “the mob.” He opposed involvement in the French Revolution and worried Jeffersonians by appearing, and maybe even being, too cozy with Britain. 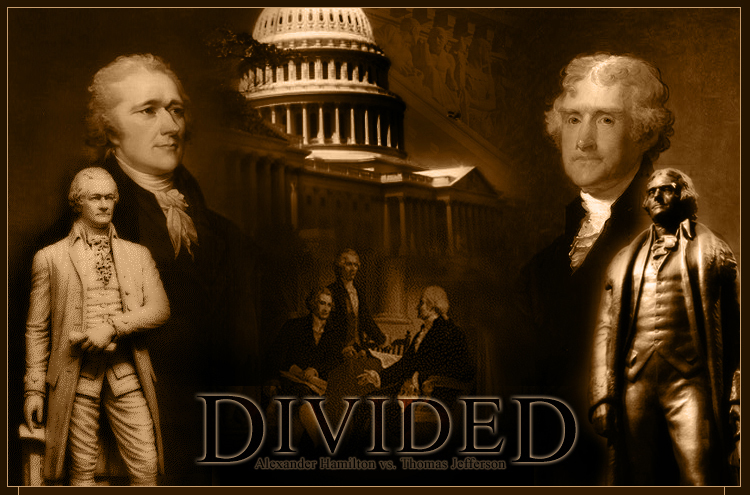 2) How was the conflict between Jefferson and Hamilton a significant factor in the emergence of political parties? The Jefferson/Hamilton conflict helped give rise to political parties by polarizing factions on opposite political sides. Those who backed Jefferson’s Democratic-Republicans supported states rights, a strict reading of the Constitution, and support for the French Revolution. Those who back Hamilton’s Federalists preferred a much stronger central government, an “elastic” reading of the Constitution, and a hands-off approach to the French Revolution. I don’t know if either view could be considered better or worse for America. Forced to choose, I would probably lean toward Hamiltonian ideas, but I believe both served a vital and necessary role in forming the government. Hamilton was a visionary and saw the potential of a great industrial power. His support of a strong central authority was a key reason the young nation was able to sustain itself in the early days, especially in such crises like Shayes Rebellion. One reason he may have felt as strongly as he did was his service in the Revolutionary War. Being one of Washington’s staff, he experienced first hand the difficulty the Continental army had with an ineffectual congress to keep it fed and supplied. The weak congress was not able to raise funds to pay for supplies because it had no real power. For all his vision and innovation, Hamilton’s ambition may have carried him too far if left unchecked. The federal government may have become too powerful and curbed the rights of citizens, which in fact did happen to a degree during the Adams administration. Jefferson and his policies provided an important counter balance to Hamilton. Jefferson’s support of states’ rights and agriculture helped to offset the influence of the Hamilton-supporting merchants and manufacturers. However, without Hamilton’s counter-balance Jefferson’s policies may have left the government weak and ineffectual to deal with major crises both at home and abroad. Each viewpoint needed the other to create a government that would be strong enough to protect itself and it’s people from internal and external strife, but not so strong that it would infringe on the rights of the people as enumerated in the Bill of Rights and in the Revolutionary spirit. These issues, of course, weren’t resolved or ceased to be relevant after Hamilton and Jefferson left the scene. These are still very much the issues we deal with even now, over 200 years later. As much as we might dislike, or even hate, the position of the “other” party, without some balance both sides would undoubtedly abuse their power…more than they already do. 4) List at least 3 sources in proper bibliographic format. No Wiki sources.